Let’s Make This One Better than the Last! Parkinson’s for April! | Ridge's Stitches | Health Coach. Yoga. Clothing. Let’s Make This One Better than the Last! 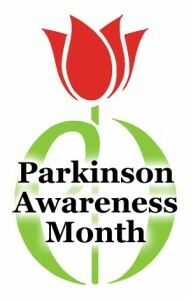 Parkinson’s for April! Last year we donated to the Michael J. Fox Foundation. It was our most successful donation month to date. Read the article here! This year, we would like to do it again but a little bit differently! We had been contacted by a wonderful group in Connecticut called the Connecticut Parkinson’s Working Group. We had such a success with Michael J. Fox last year that we just had to do both. Normally we give back three percent of our profits. This month we will be splitting this between the two organizations…April Fools! We’re doubling it instead for a total of six percent. Some of you may have known from last year that both of my grandmothers suffer from Parkinson’s Disease. Therefore, this month is always very special to me. April is national Parkinson’s awareness month and I would love to knock this one out of the park. 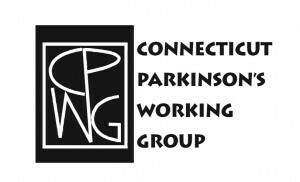 The Connecticut Parkinson’s Working Group serves all of Connecticut and is run by individuals with Parkinson’s. They run two dance and exercise programs to keep people active and moving. The CPWG’s objective is to support people with Parkinson’s, their family and friends, and caregivers. The Michael J. Fox Foundation is dedicated to the patient. They hope to speed treatments that can slow, stop, or reverse those suffering from Parkinson’s. The organization has focused on getting Michael J. Fox Foundation funded companies to advance their projects targeting alpha-synuclein, the protein that clumps in brain cells with Parkinson’s. Please help give back One Stitch at a Time by ordering your very own stitch today.